PT Pindad (Persero) - Pindad is a leading state-owned defense and security equipment and other industrial equipment company in Indonesia. 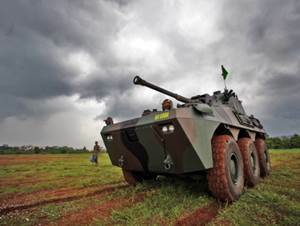 PINDAD provides products and services in the armaments and munitions for the Indonesian National Armed Forces (TNI) and other agencies mainly to support defense and security of the Republic of Indonesia. PINDAD also produces several industrial products for other fields such as transportation and commercial explosives. Its products and services include weapons, ammunition, special purpose vehicle, commercial explosives, forging and casting, and Industrial machinery and services. PT Pindad (Persero) is a non listed state owned company whose shares are wholly owned by the Government of Indonesia which represented by the Minister of State-Owned Enterprises (SOE). The Company has its legal domicile in Bandung West Java and its head office is registered at Jl Jenderal Gatot Subroto No 517 Bandung 40284. Pindad now has Ammunition Division in Turen-Malang East Java and Sales Office in Jakarta. Minimum TOEFL score of 475 for D3 and 500 for S1. JobsCDC.com now available on android device. Download now on Google Play here. Please be aware of recruitment fraud. The entire stage of this selection process is free of charge. PT Pindad (Persero) - D3, S1 Open Recruitment Program PINDAD August 2018 will never ask for fees or upfront payments for any purposes during the recruitment process such as transportation and accommodation.